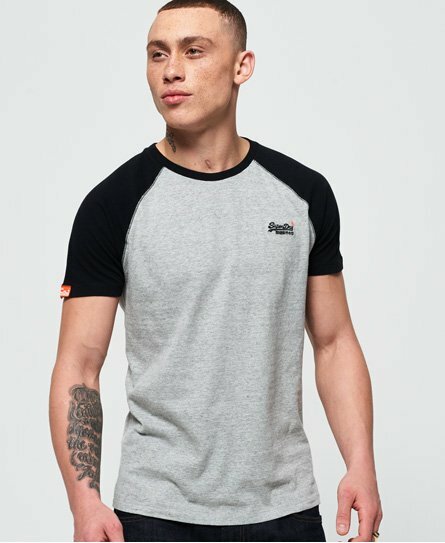 Superdry men’s short sleeve baseball t-shirt from the Orange Label range. This staple baseball tee will become a fast favourite in your wardrobe this season, so effortlessly versatile and crafted with soft cotton fabrics making it ideal for the everyday. This tee features a crew neckline, short sleeves and a Superdry logo embroidered on the chest. Team this tee with your favourite trainers and jeans, or layer it under a Superdry hoodie when the weather is chilly.